If Daddy G of Massive Attack described his band's previous album Heligoland as a "raw, song-based album", then the arrival of their EP Ritual Spirit reaches even further back to their roots. A handful of key players are in place this time -- Robert "3D" Del Naja, Grant "Daddy G" Marshall, and Tricky, bolstered by the additional help of Roots Manuva, Azekel, Young Fathers, and the production of Euan Dickinson. The average Massive Attack fan, who is accustomed to long waits between releases, will be too overjoyed to complain that Ritual Spirit is only 17 minutes long. If there is a band that will fuss and primp over the mix to draw the maximum effect from everyone of of those 17 minutes, it's these Bristol-based purveyors of trip-hop. In the same way that the Splitting the Atom EP set the stage for Heligoland, Ritual Spirit is ramping up attention to a forthcoming full-length release. And if Ritual Spirit is of any indication of what's to come, this future album will ring out as an on-target shot made in the name of the vintage Massive Attack sound. Pretty much everything that helped the band make a name for itself is on display for these four songs -- the simmering tension of title track, the sample-happy soundtrack for urban decay on the opener "Dead Editors", the hot and steady boil of "Voodoo in My Blood", and the morose single "Take It There" featuring the return of Tricky. To the newcomer, that list of personnel may seem a tad clustered. But no Massive Attack track comes about through one brain alone. Even 100th Window, long considered to be a Del Naja solo album somewhat by default, still had a smattering of names chipping in to make that pie. In the world of Massive Attack, many hands make for heavier work where carefully compressed beats and bass-clef piano figures are concerned. Rapper Roots Manuva peppers his performance ever so lightly over "Dead Editors" while a heavily disguised sample from Herbie Hancock's "Watermelon Man" keeps the quiet, nocturnal train chugging. When Azekel Adesuyi opens his mouth for "Ritual Spirit", he's more of a disembodied voice than a guest appearance, appropriately cooing "claim that you heard me." Scottish hip-hop trio Young Fathers are in charge of the EP's pep on "Voodoo in My Blood", treating their cameo with the same amount of reverence as Manuva on "Dead Editors". It's Tricky who makes the highest bid for your attention on "Take It There", a waltz dirge that turns the musical clock back to the mid-'90s without sounding the least bit like a ham-fisted throwback. "Take you there, and take your time" Tricky growls in the final track's refrain, sounding much like a piece of advice that Massive Attack have been following since their start. They certainly take their time, and each release comes ready-made with a guarantee to take you "there" -- wherever "there" is. 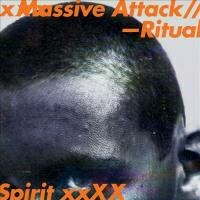 If Ritual Spirit isn't your first encounter with Massive Attack, you already have a pretty good idea of where that is.